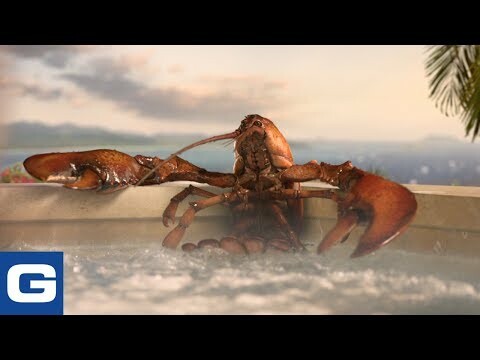 A newlywed couple on their honeymoon is surprised to find a talking lobster hanging out with them in their hot tub. 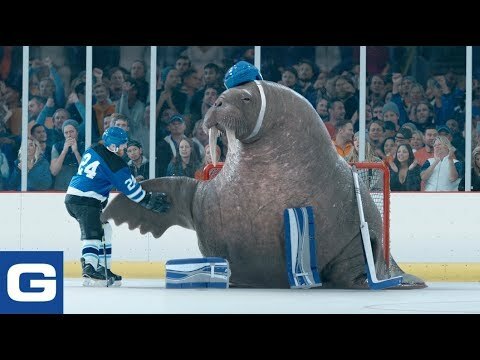 A hockey player is frustrated when he can't score due to the other team having a walrus as their goalie. A warehouse manager hires musicians to follow her around while playing relaxing music to calm her nerves from her upcoming move. Like what you see? Get a quote with GEICO! The last time you caught yourself giggling at the Gecko, did you wonder about the zany and brilliant minds who create the GEICO ad campaigns? Take a peek behind the scenes and meet the cast and crew who make these iconic ad spots come to life. Our beloved GEICO Gecko has made a number of new stops on his never-ending journey across America to tell people how GEICO could help them save on insurance. This past year, he got to sample the Memphis music scene, fly with the GEICO Skytypers, and help some friends assemble furniture for their new apartment. In our latest commercial campaigns, we remind you that GEICO is about more than just saving money on car insurance. Shop for exclusive GEICO themed merchandise including apparel, collectibles, and other fun products.